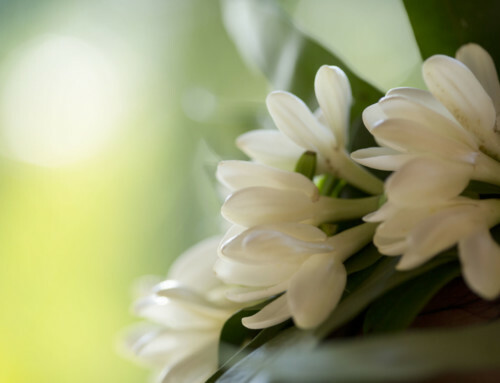 In 1986, the members of the cultural organisation “Motu Haka o Te Fenua Enata ” set up the first festival of the Marquesas on the island of Ua Pou. Indeed, they were worried about things being forgotten over time if the Tuhuka (wise-men) no longer exist. They encourage young Marquesans to approach these carriers of knowledge in order to be trained, and learn about their traditions to revive their ancestral culture. This is how the “Matavaa O Te Fenua Enana ” or the Marquesas Art & Culture Festival was created. 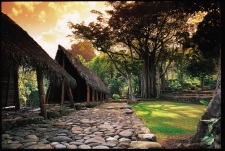 It takes place every 4 years on one of the 3 most populated islands of the archiepalgo: Ua Pou, Nuku Hiva, and Hiva Oa. The next one will occur in December 2015 in Hiva Oa. 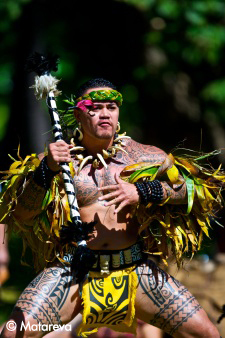 This festival represents the opportunity to perpetuate Polynesians rites and ancestral traditions through language, songs, dances (which includes the famous Haka), sports, sculpture, tattooing, etc. 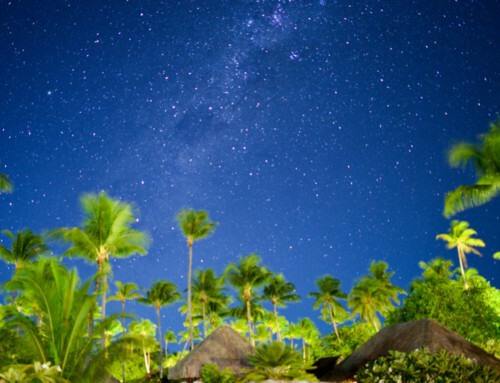 This festival brings together more than 1800 participants from the different corners of the Polynesian Triangle (Hawaii, New Zealand, the Easter Island), and opens the Marquesas archipelago up to the world. 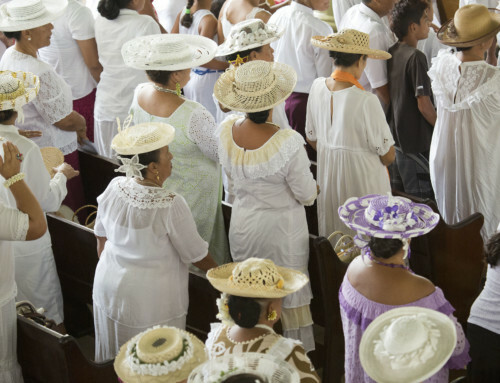 Participants and visitors are immersed in the Marquesas culture through various activities such as dancing, songs, sport, art, and of course tattooing. 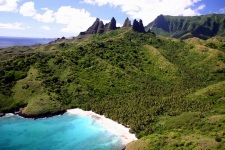 It is also one of the unique opportunities to discover the Marquesas culture, these volcanic islands whose dramatic landscapes leave a lasting impression in the heart and mind of their visitors.